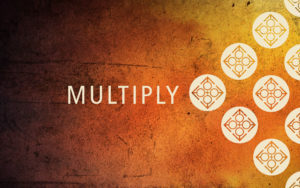 In Multiply we are coming back to the basic call upon the church; it’s a call to multiply. When Jesus said, “go and make disciples…” there is something He had in mind for His followers to do with that commission. If the church steps up to that great calling there are some serious implications. The Multiply Initiative is a response to prepare and be ready as we accomplish this great vision.